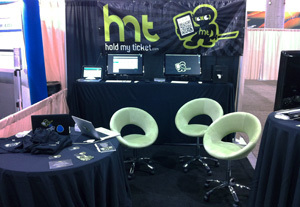 The HoldMyTicket team recently returned from Phoenix, where we had a booth at IAVM's 86th Annual VenueConnect Conference and Trade Show! 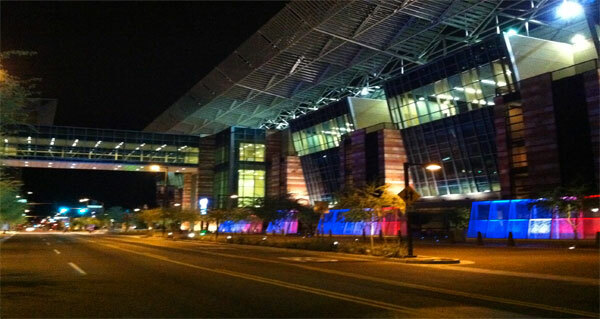 The International Association of Venue Managers (IAVM) is an organization committed to the professional operation of amphitheaters, arenas, auditoriums, convention centers, exhibit halls, performing arts venues, race tracks, stadiums and university complexes. 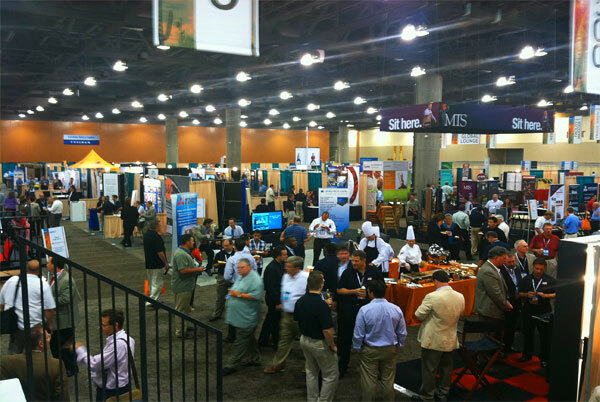 Thats a pretty wide range of operations so we were able to interact with many facets of the industry. From venue infrastructure like seating and lighting, to crowd control and ticketing, everything to do with events was represented. The HMT team arrived with our mobile box office. 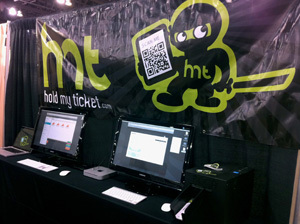 Our setup included ticket printers, iPod scanners, a few Mac Minis, and a bunch of monitors. We had workstations set up for patrons to demo our software, even print sample tickets. For fun we gave away HMT Ninja stickers and 'Show Me Your Barcodes' t-shirts, which were a hit!